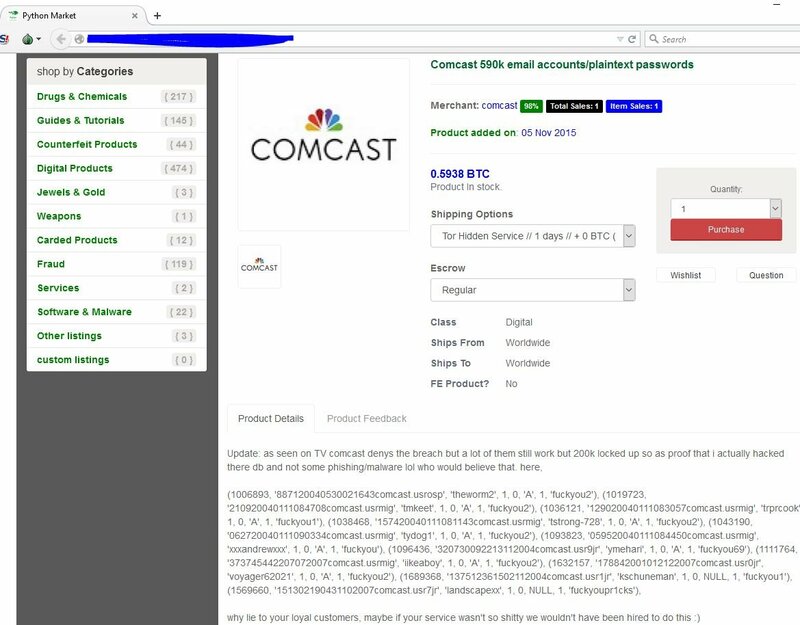 A hacker has tried to sell 200,000 valid cleartext Comcast credentials he claims he stole in 2013 from the telco's then-vulnerable mailserver. "So in 2013 December the f****s at NullCrew came across an exploit for Zimbra which Comcast used at this domain *****.comcast.net ," Orion says. "NullCrew only got [about] 27k emails with no passwords lol while I got 800k with only 590k users with plaintext passwords." The credentials for sale. 📷 Darren Pauli / The Register. Comcast said it had "no evidence" of the December breach in which the then Zimbra directory traversal vulnerability (CVE-2013-7091) was exploited to gain access to the credentials. A discussion on Reddit has focused on Comcast's apparent use of cleartext passwords, something regarded as a grand failure in security circles.